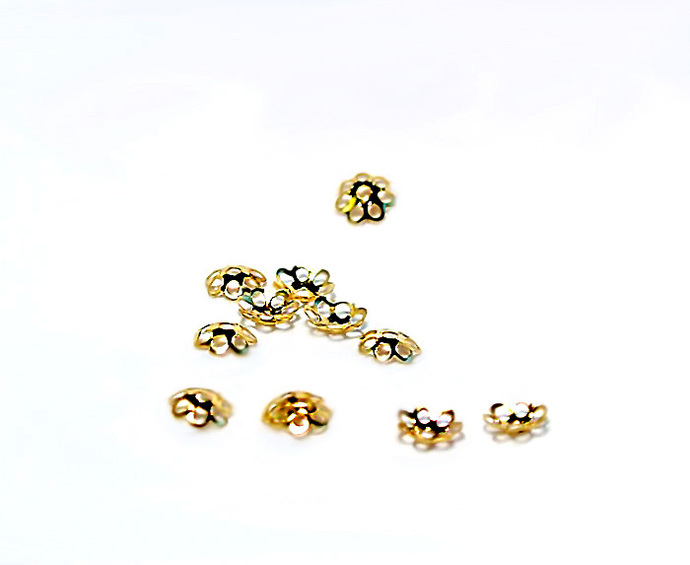 Tiny Flower- These are very tiny, delicate little bead caps that will accent your designs with a touch of gold. You'll receive a pkg. 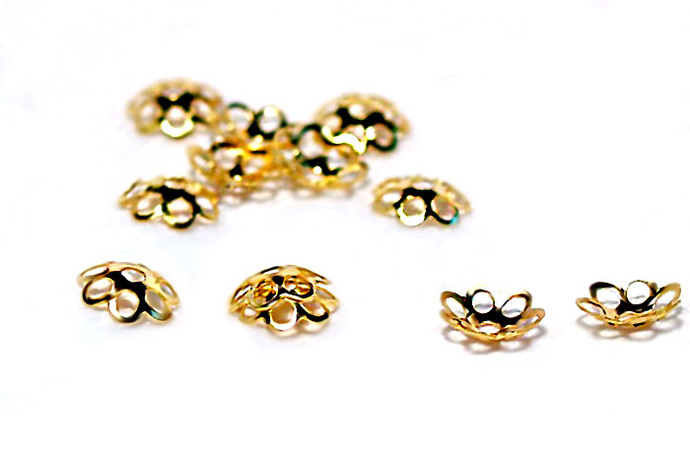 of 50 bead caps.